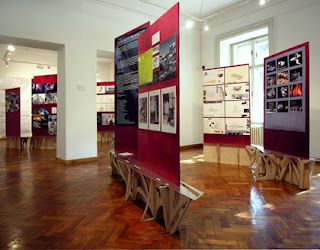 2011 Bartlett RIBA visit exhibition, designer and curator of the exhibition at Wates House (04.03.11-07.03.11). 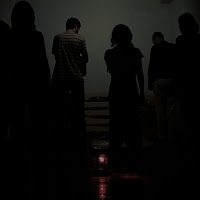 2011 Beyond Matter, Kunsthaus Graz, and Haus der Architektur Graz, Austria (postponed). 2009 ‘DS10‘ at the End of Year Show, Westminster University, London UK (June09). 2009 ‘Unit 20‘ at the Bartfest 2009 in the Slade School of Art UCL, London UK. 2008 ‘DS10‘ at the End of Year Show, Westminster University, London UK (June08). 2008 ‘Unit 20‘ at the Bartfest 2008 in the Slade School of Art UCL, London UK. 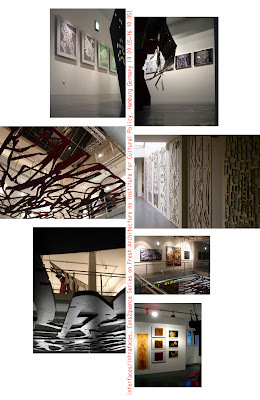 2008 Taichung EXPO 2015 exhibition at the TADA Taiwan Centre for Art, Design and Architecture, Taiwan (09.04.08-). 2007 ‘DS10‘ at the End of Year Show, Westminster University, London UK (June07). 2007 ‘Unit 20‘ at the Bartfest 2007 in the Slade School of Art UCL, London UK. 2006 ‘Unit 20‘ at the Bartfest 2006 in the Slade School of Art UCL, London UK. 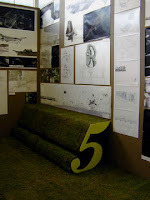 2006 ‘Bartlett School of Architecture‘ designer and curator of the student exhibition in the Vojtech Loffler Museum, Kosice Slovakia. Sponsored by the British Council Slovakia (26.01.06 – 06.03.06). 2005 ‘Bartlett School of Architecture’ designer and curator of the student exhibition at the ‘Galeria Medium at the Academy of Fine Arts and Design, Bratislava, Slovakia. Sponsored by the British Council Slovakia (05.10.05-25.10.05). 2005 ‘Unit 20’ at the Bartfest 2005, Slade School of Art UCL London UK. 2004 ‘Unit 20’ and ‘marcosandmarjan’ designer and curator of the student exhibition ‘Mladá britská architektura - Nové projekty z Bartlett School of Architecture, UCL / Young British Architects in the Fragner Gallery, Czech Republic, sponsored by the British Council Czech Republic (27.10.04-12.12.04). 2004 ‘Unit 20’ and ‘marcosandmarjan’ at the Bartfest 2004 in the Slade School of Art UCL, London UK. 2004 ‘Bartlett Experiments - Marjan Colletti and Marcos Cruz’ curator of the student exhibition at the Tokyo Institute of Technology Japan (February 04). 2003 ‘The Bartlett School of Architecture’ and ‘marcosandmarjan’ designer and curator of the student exhibition at the group exhibition Intimacy – Spot on Schools (curator: Paola Giaconia) at the Beyond Media/Oltre I Media – 7th international festival for architecture in video at the Stazione Leopolda, Florence Italy (02.10.03-12.10.03). 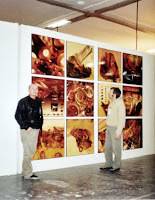 2003 ‘Unit 5’ at the student exhibition London Days II at the ./studio 3, Innsbruck University, Austria. 2003 ‘Unit 5’ at the Bartfest 2003 in the Slade School of Art UCL, London UK. 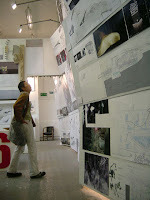 2003 ‘Unit 5’ at the occasion of the RIBA visit at The Bartlett School of Architecture UCL, London UK. 2002 ‘Unit 5’ at the Bartfest 2002 at the Slade School of Art UCL, London UK. 2001 ‘Unit 5’ at the Bartfest 2001 at The Bartlett School of Architecture UCL, London UK. 2008 ‘Taichung Expo’ at the TADA Centre, Taichung, Taiwan. 2005 ‘marcosandmarjan – ORIENTierung’ solo exhibition at the Architekturpavillion TU Braunschweig, Germany (6.12.05-7.01.06). 2005 ‘marcosandmarjan – ORIENTierung’ solo exhibition as part of theCons2quence Series on Fresh Architecture solo exhibition at Institute for Cultural Policy, Hamburg Germany (09.09.05-16.10.05). 2005 ‘marcosandmarjan experiments’ solo exhibition at the Department of Architecture Feng Chia University, Taichung Taiwan (02.03.05-11.03.05). 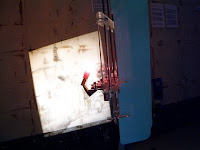 2004 ‘Bartlett Experiments’ at the Tokyo Institute of Technology, Japan. 2004 'marcosandmarjan' at he Bartlett School of Architecture UCL, London UK, Lobby space. 2000 ‘44computers’ MPhil work solo installation at The Bartlett School of Architecture UCL, London UK. 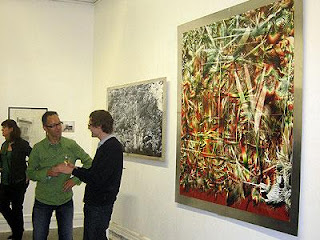 2011 ‘Marjan Colletti’ at the zezeze Architecture Gallery in Tel Aviv Israel (05.03.11-…). With Will Alsop, Greg Lynn, Hernan Diaz Alonso, Zvi Hecker et al. 2010 ‘2&½D twoandahalf dimensionality’ at Avatar at London Design Festival at the Victoria and Albert Museum London, UK (16.09.10-26.09.10). 2007 ‘2&½D’ at Telling Places in the Woburn Studios, University College London, UK (04.-05.12.08). [Photo by Inga Voldhaug]. 2005 ‘The Twoandahalfdimensional Architecture of Intricate Digital Space’, ‘Avatar #54’ and ‘2&1/2D’ and ‘various projects’ as part of the ‘marcosandmarjan – ORIENTierung’ solo exhibition at the Architekturpavillion TU Braunschweig, Germany (6.12.05-7.01.06). 2005 ‘The Twoandahalfdimensional Architecture of Intricate Digital Space’, ‘Avatar #54’ and ‘2&1/2D’ and ‘various projects’ as part of the ‘marcosandmarjan – ORIENTierung’ solo exhibition as part of theCons2quence Series on Fresh Architecture solo exhibition at Institute for Cultural Policy, Hamburg Germany (09.09.05-16.10.05). 2005 ‘marjan experiments’ as part of the marcosandmarjan solo exhibition at the Department of Architecture Feng Chia University, Taichung Taiwan (02.03.05-11.03.05). 2004 ‘The Twoandahalfdimensional Architecture of Intricate Digital Space’ at the 236th General Summer Exhibition at The Royal Academy of Arts, London UK. 2004 ‘The Twoandahalfdimensional Architecture of Intricate Digital‘ as part of the student exhibition ‘Mladá britská architektura - Nové projekty z Bartlett School of Architecture, UCL / Young British Architects in the Fragner Gallery, Czech Republic, sponsored by the British Council Czech Republic (27.10.04-12.12.04). 2003 ‘MPhil/PhD work’ at the Bartfest 2003 in the Slade School of Art UCL, London UK. 2002 ‘MPhil/PhD work’ at the Bartfest 2002 at the Slade School of Art UCL, London UK. 2001 ‘Medusa-Besking-Basking’ at the Bartfest 2001 at The Bartlett School of Architecture UCL, London UK. 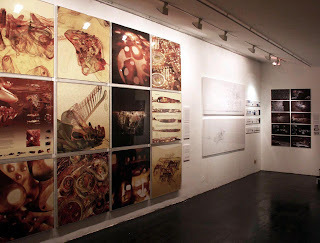 1999 ‘Medusa-Besking-Basking’ at the Final MArch Exhibition at The Bartlett School of Architecture UCL, London UK. 1999 ‘Masters work’ at the Bartfest 1999 at The Bartlett School of Architecture UCL, London UK. 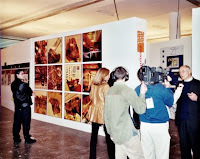 1999 ‘Six o’clock at the Mexican Rock’ at the competition entries group exhibition for Broad Street, Rhode Island, USA. 1996 ‘Carhouse of the Future’ at the competition entries group exhibition at the Hochbau Institut, University Innsbruck, Austria. 1995 ‘The Last House’ at the competition entries group exhibition at the Containerbrücke, Graz, Austria. 2010 London Eight at SCI-Arc, Los Angeles (19.03.10-09.05.10). 2009 ‘marcosandmarjan’ in Perdidos at the Fundación Arquitectura COAM, Madrid, Spain. 2008 ‘marcosandmarjan‘ at The Urban Tendency - Netherlands Embassy & Flemish Representation Project, part of The London Festival of Architecture, in the P3, University of Westminster, London (08.07.08-20.07.08). 2008 ‘marcosandmarjan‘ at Construir, habitar, pensar. Perspectivas del arte y la arquitectura contemporánea in the IVAM Institute de Valencia de Arte Moderna, Valencia Spain (13.05.08-...). 2006 ‘El Coral‘ project for the MEIAC - Museu Estremenho Iberoamericano de Arte Contemporaneo in the Italian Pavilion at the 10. Venice Biennale (September 06). 2006 ‘75th Lisbon Book Fair’ at the 238th General Summer Exhibition in the Royal Academy of Arts, London UK. 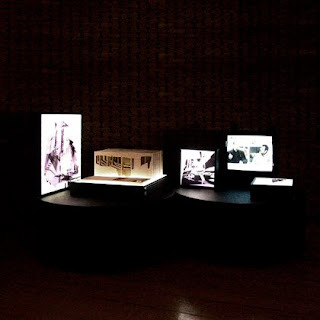 2006 ‘Lofting House‘ in the group exhibition A Casa Portuguesa – Modelos Globais para Casas Locais in the Sala del COADE – Palacio de Camarena, Cáceres Spain (curators: Carlos Sant’Ana, Pedro Machado Costa) (02.03.06-16.03.06). 2006 ‘Lofting House‘ in the group exhibition A Casa Portuguesa – Modelos Globais para Casas Locais in the Sala del Palacio de Congressos y Exposiciones de Mérida, Mérida Spain (curators: Carlos Sant’Ana, Pedro Machado Costa) (10.02.06-24.02.06). 2006 ‘El Coral. MEIAC - Museu Estremenho Iberoamericano de Arte Contemporaneo’ competition entry at Meta.morfosis exhibition in Badajoz Spain (27.01.06 - ). 2006 ‘Lofting House‘ in the group exhibition A Casa Portuguesa – Modelos Globais para Casas Locais in the Sala de la Consejeria de Cultura de la Junta de Extremadura, Badajoz Spain (curators: Carlos Sant’Ana, Pedro Machado Costa) (16.01.06-1.02.06). 2005 ‘Lofting House‘ at the group exhibition A Casa Portuguesa – A Arte de Habitar as part of the ExperimentaDesign in the Cordoaria Nacional, Lissabon Portugal (curators: Pedro Machado Costa, Carlos Sant’Ana) (16.09.05-30.10.05). 2005 ‘marcosandmarjan’ in the group exhibition Metaflux at the Casa Municipal da Cultura Fernando Távora / Paços do Concelho, Aveiro Portugal (curators: Pedro Gadanho; Luis Tavares Pereira) (20.08.05-16.10.05). 2005 ‘Feira Industrial dos Açores’ in the group exhibition l’Atalante at the Academia das Artes dos Açores, Ponta Delgada, Azores Islands Portugal (curator: Pedro Machado Costa) (01.07.05-30.08.05). 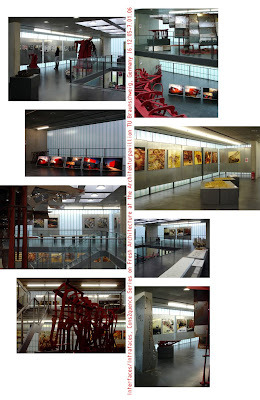 2005 ’Xiyuan’ in the group exhibition 237th General Summer Exhibition at The Royal Academy of Arts, London UK. 2005 ‘marcosandmarjan’ in the group exhibition Metaflux at Fundação Tomi Othake, São Paulo Brazil (curators: Pedro Gadanho; Luis Tavares Pereira) (18.05.05/10.07.05). 2005 ‘marcosandmarjan experiments’ and ‘The Splinewall’ final exhibition of the FCU & Bartlett, UCL Digital Architecture Workshop, at the Ren Yen Building The College of Humanities and Social Sciences Feng Chia University, Taichung Taiwan (11.03.05-8.04.05). 2004 ‘marcosandmarjan’ at the studentxhibition ‘Mladá britská architektura - Nové projekty z Bartlett School of Architecture, UCL / Young British Architects in the Fragner Gallery, Czech Republic, sponsored by the British Council Czech Republic (27.10.04-12.12.04). 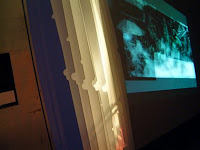 2004 ‘marcosandmarjan’ in the group exhibition Avatar at Bartlett School of Architecture UCL London UK (Oct/Nov 04). 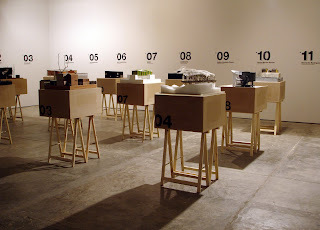 2004 ‘marcosandmarjan architects’ in the group exhibition Metaflux – Portuguese Official Representation at the 9th Architecture Biennial Venice, Italy (curators: Pedro Gadanho; Luis Tavares Pereira) (12.09.04-07.11.04). 2003 ‘marcosandmarjan’ at the group exhibition Intimacy – Spot on Schools (curator: Paola Giaconia) at the Beyond Media/Oltre I Media – 7th international festival for architecture in video at the Stazione Leopolda, Florence Italy (02.10.03-12.10.03). 2003 ‘The Bagpipe / Floating Vessel’ at the group exhibition General Architecture Exhibition as part of the 5. Bienal de Arquitectura e Design de São Paulo, São Paulo Brazil (14.09.03-02.11.03). 2003 ‘marcosandmarjan’ at the group exhibition Influx – recent Portuguese architecture in the Silo Norte Shopping, Porto Portugal (04.07.-14.09.03). 2003 ‘marcosandmarjan’ at the group exhibition Actions re Form - design experiments into architecture in movement in the Architekturgalerie München, Munich Germany (curator: Marcos Cruz) (25.02.03-29.03.03). 2003 ‘marcosandmarjan’ at the group exhibition Actions re Form - design experiments into architecture in movement at the CAPC, Coimbra Portugal (curator: Marcos Cruz) (11.01.03-16.02.03). 2002 ‘marcosandmarjan’ at the group exhibition Novas Tendências na Arquitectura in the Galeria Maus Hábitos, Porto Portugal (curator: Gonçalo Furtado). 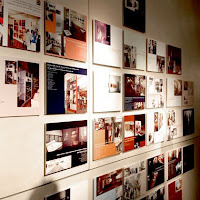 2002 ‘New Tomihiro Museum’ at the 2. Biennale di Porto Ercole at the Forte Stella, Monte Argentario Italy.